Thanks for the great analysis and keep up the good work. Since most japanese companies financials are in Japanese, how do you get to understand it? I don't understand Japanese. Also, most financials are "reviewed" but not audited as in the States. How trustworthy do you think the numbers are? I do a few things to get the financials, I usually use Google Translate on the filings from either the Tokyo stock exchange website, or the corporate website to see what the latest numbers are. Then I go to FT.com and examine what they have, if the numbers are the same I use FT.com for all my data. FT is the most reliable if the numbers have been out for a few months, so companies that report annually and semi-annually are great. For some Japanese companies that report more often there is a lag, so I will use the translated filings to fill in my own spreadsheets for each statement. Google Translate is great, it's extremely accurate on European languages, Japanese is hit and miss. I usually keep up the original language filing as well to compare. For example in a company I was recently looking at the line for Total Equity and Liabilities was translated as Total Net Debt. By reading the statement I could tell this wasn't accurate so I went digging, I copied the original language for the Total Net Debt translation and plugged it into google along with the word debt. What I retrieved was some filings where the Japanese and English were side by side, I matched up the Japanese word that was mistranslated and found the correct one. So an understanding of accounting and spot checking worked on that one. As per auditing it's a great question, but honestly I don't put much faith in auditors of any company, even American companies. I have to admit, I have a strange interest in reading about frauds and I have read about a TON of frauds, and a common theme runs through all of them, the auditor go too close and missed things. Obviously if an auditor issues an adverse opinion then that's a nice easy red flag, but what auditors do doesn't detect fraud and most are not trained to find fraud. 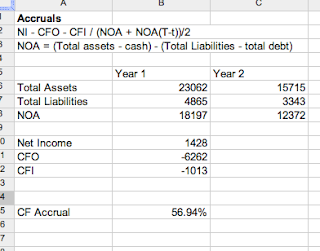 1) I run the numbers through my accrual spreadsheet, higher accruals means lower quality earnings. The lower quality earnings are suspect, there could be a great reason, or it's a warning. 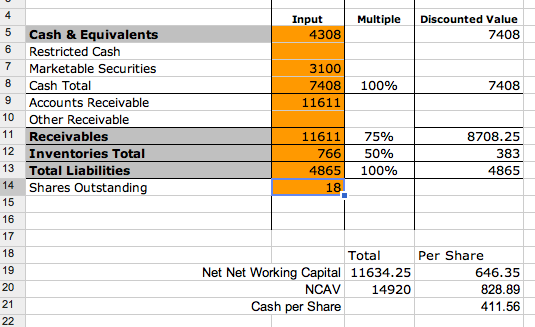 2) I check for cash to back up earnings, in most cases if earnings are very poor quality the cash flow is only a small percentage of what it should be. 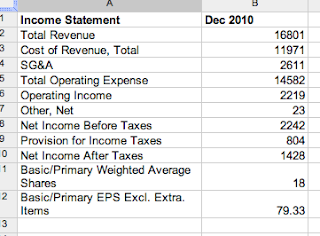 A good rule of thumb is that over time say five years average net income should be roughly equal to cfo. 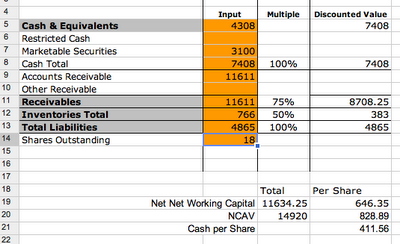 For companies that only give out an income statement and balance sheet I construct my own cash flow statement. I prefer the direct method, if you're interested I can send you my spreadsheet. 3) I check the taxes paid, in most cases of fraud investors are duped, but tax collectors are not. If there is a large disparity this is a huge warning sign. Usually taxes paid will be hidden in the notes, or you'll need to calculate by tax withheld and the change in deferred tax amounts. 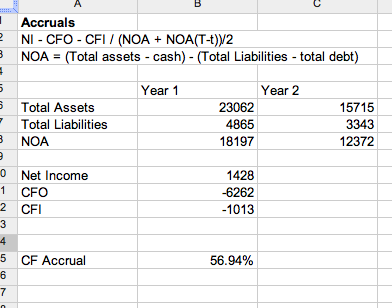 4) I check for things that seem fishy, a large increase in accounts receivable, or increase in debt. Usually a company that has poor earnings and low cash flow will finance their operations either through share issuances, or short term debt. Really like this post! I learned a lot! only once in 2007 on heavy inventory build-up. The CFO I referenced in this post was a quarterly read, on a yearly basis you're correct it was only negative once back in 2007.
basis and that has an effect on the cfo? Anyway. Congrats to this great blog. Very insightful and rare to find someone who dares venturing into japanese equities.